LAS VEGAS - Trimble (NASDAQ: TRMB) announced today the addition of Trimble RTX™ technology delivered via satellite to its Kestrel™ seismogeodetic system. 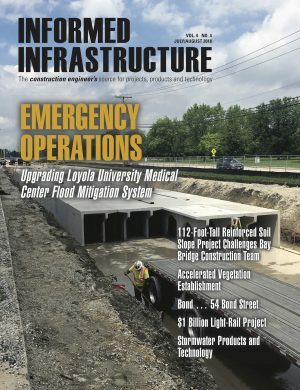 Pairing uninterrupted, high-quality Global Navigation Satellite System (GNSS) positioning corrections with seismic data—for Earthquake Early Warning (EEW), volcano and infrastructure monitoring of bridges, dams, towers and other civil structures—makes Kestrel an innovative solution for scientists and structural engineers. In addition to Internet delivered CenterPoint® RTX corrections, the Kestrel system now supports L-band satellite delivered RTX corrections. This ensures corrections are not affected during communication delays or outages that occur during natural disasters. CenterPoint RTX enables centimeter-level absolute positioning, which is critical when analyzing and responding to the movement of a structure. Unique to the industry, Kestrel integrates a high-sample rate, strong motion accelerograph with Trimble's latest GNSS reference receiver technology in a single instrument, reducing site installation time. The sensor data is combined and processed by Trimble's 4D Control™ monitoring software to generate 200 Hz displacement data in near real-time, giving structural engineers and scientists the detailed information required for dynamic analysis. With an IP67 rating, the compact and rugged Kestrel is ideal for deployment in extreme environments. a low-power, 336-channel GNSS receiver powered by the latest Trimble Maxwell™ 7 Technology that supports tracking of GPS, GLONASS, Galileo, BeiDou and QZSS signals, ensuring the GNSS data is robust and reliable. an Advanced National Seismic System (ANSS) Class A force-balance triaxial accelerometer, which delivers low noise data at 200 Hz and transmits with ultra-low latency for EEW applications. "Kestrel's new capabilities provide unparalleled data quality and robust reliability when they're most needed," said Shawn Hilliard, business area director of Trimble Monitoring Solutions. "Monitoring earthquakes, volcanoes or natural and manmade structures leaves no room for a delay or data loss. Emergency managers, earth scientists and structural engineers rely on Kestrel's data to support real-time decisions to help protect life and the environment." To learn more about the latest version of Kestrel, visit: https://www.trimble.com/infrastructure/trimble-kestrel-system.aspx. Trimble's portfolio of advanced sensor solutions, application software and state-of-the-art recorders provide proven integrated tools for monitoring and earth systems applications. The solutions allow organizations to monitor the integrity of a building, dam, mine, bridge and other structures, or natural hazards monitoring the seismic activity for a project and surrounding communities. Trimble's customizable and scalable monitoring solutions harness the power of GNSS, optical, seismic, engineering and geotechnical sensors to provide in-depth measurement, data analysis and management tools to help organizations meet a range of project requirements from periodic deformation measurements to real-time automated monitoring solutions. For more information about Trimble Monitoring Solutions, visit: www.trimble.com/monitoring.